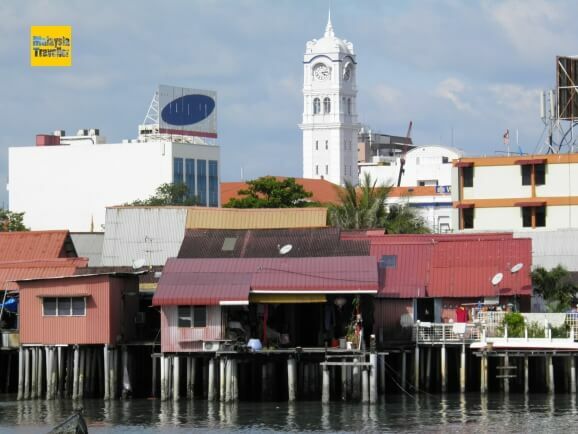 What are the top Penang Attractions? If you are proposing to visit Penang Island you will find that there is so much to see and things to do that you will probably not have sufficient time to do everything. Some planning of what to see is required if you want to cover most of the main Penang tourist attractions without feeling rushed. As a UNESCO World Heritage city, Penang's capital George Town is like a living museum, crammed full of historic buildings and colourful streets. The best way to tour it is on foot. 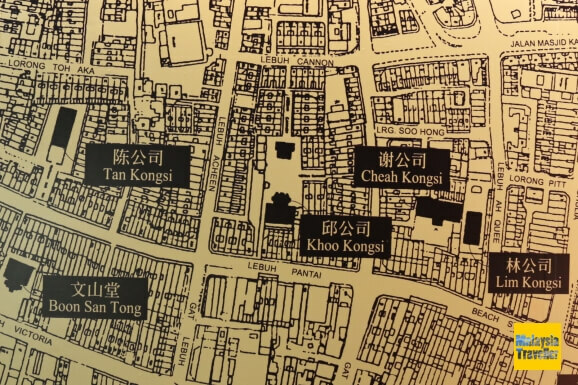 Take my Penang Heritage Trail which will cover the main sights. 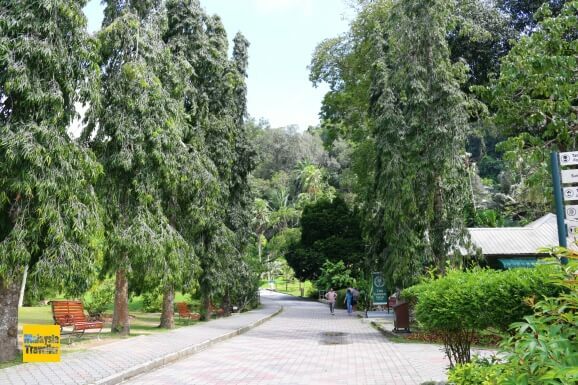 Penang Botanic Gardens are the Pride of Penang. 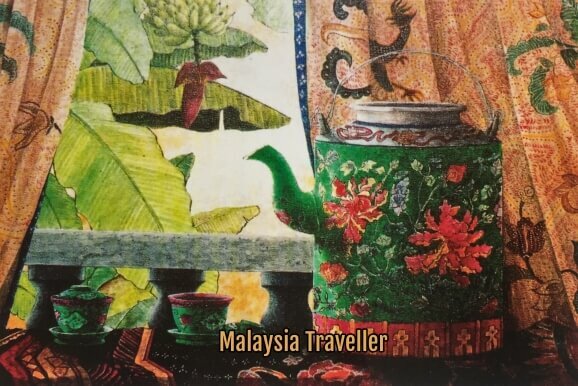 One of the top botanical gardens in South East Asia and a must-see Penang attraction. 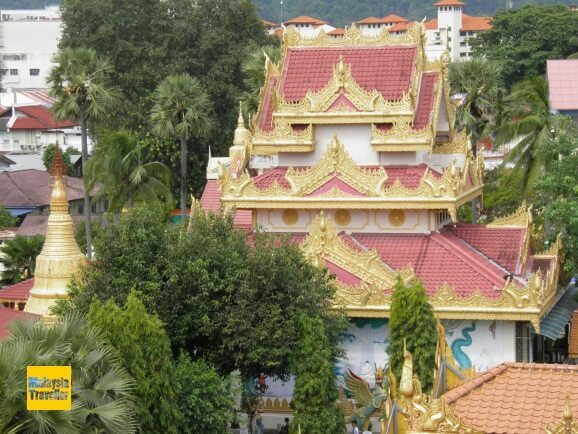 Across the street from the Burmese Temple is this Thai Buddhist Temple. Very different in style, it includes a 33 metre long gold-plated reclining Buddha statue, one of the world's largest. 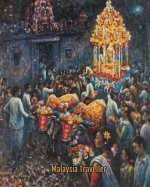 The walls of the temple housing the reclining Buddha are lined with thousands of small Buddha statues sponsored by devotees. 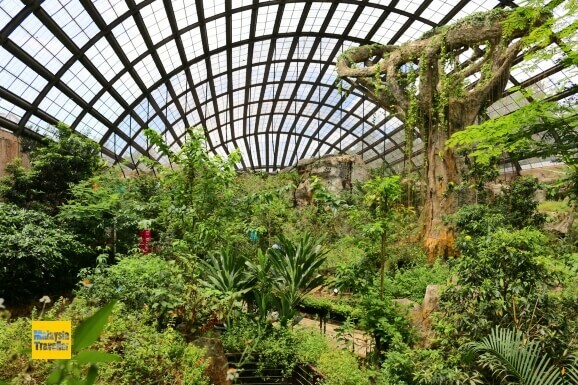 Entopia is a world class vivarium where butterflies flutter freely amid lush tropical gardens. Definitely one of the Top Penang Attractions. Colonial Penang Museum is one of Malaysia’s best museums with fantastic collections of antique furniture, stained glass windows and collectable treasures. 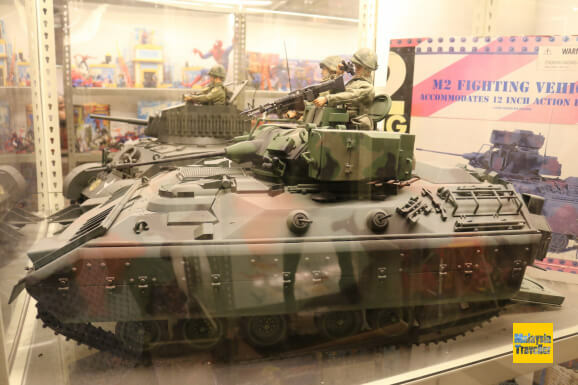 The Toy Museum houses a massive collection of action figures and collectables relating to movies, comic book superheroes and TV programmes ranging from Harry Potter to Star Wars. Fun for kids of all ages! 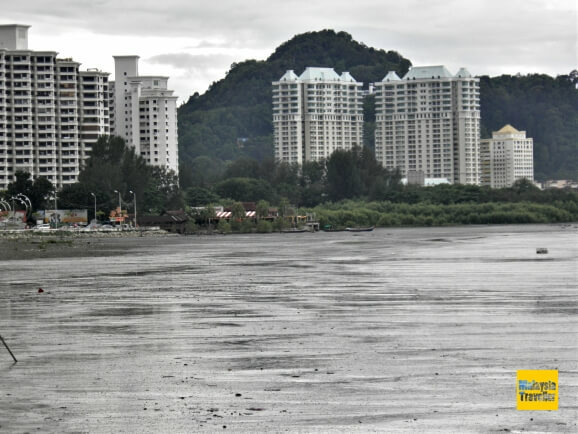 This is Penang's most popular beach area where many resort hotels are located. 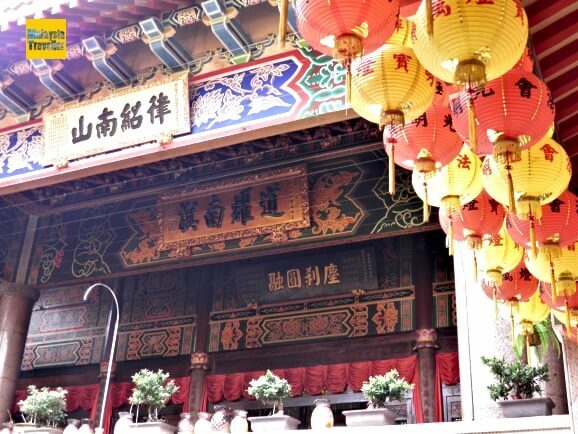 Besides the normal beach pursuits, there is a wide range of dining and entertainment outlets together with a night bazaar to bargain for those clothing, accessory, gift and souvenir items. Here you can take rainforest trails to secluded beaches and coves such as Monkey Beach and Pantai Kerachut. Turtle nesting sites are found here as well as possibly Asia's only meromictic lake (a lake with layers of water which do not mix). 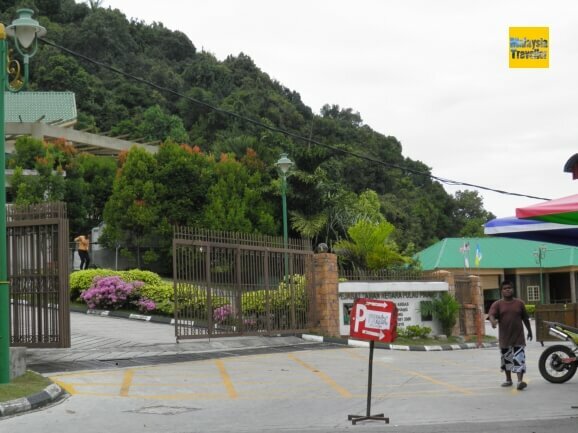 You can also visit Teluk Bahang fishing village near the park entrance. 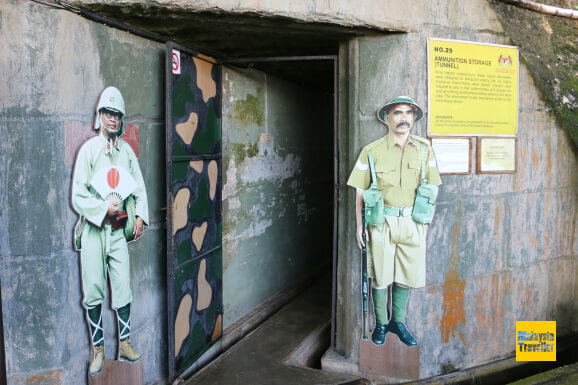 Penang War Museum is an outdoor living war museum which vividly recounts the defence and fall of Malaya in WWII and the horrors of the Japanese occupation on civilians and imprisoned Allied servicemen. A must-see museum. 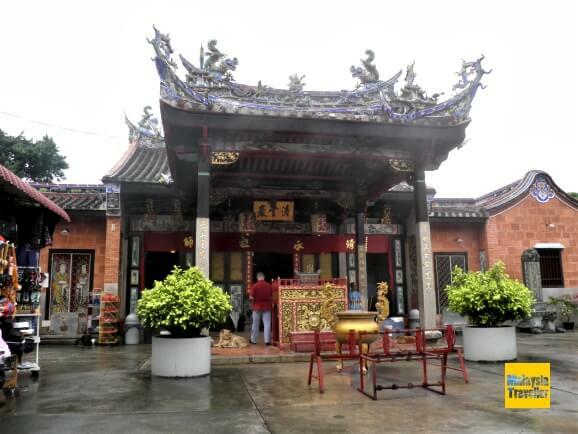 Kek Lok Si is a temple complex at Air Itam which includes the seven storey Pagoda of Ten Thousand Buddhas, said to be one of South East Asia's most beautiful. A huge bronze statue of Kuan Yin adds to the attractions here. 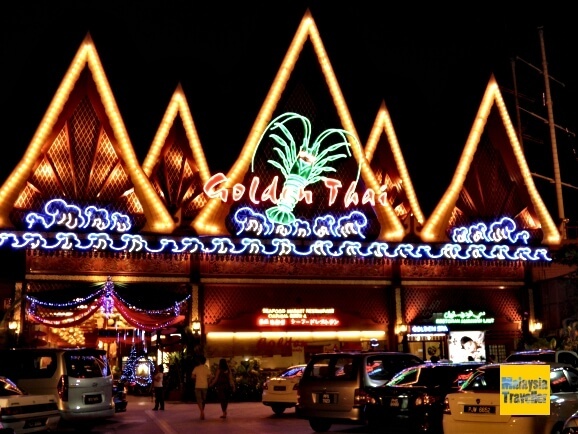 Back in George Town, Gurney Drive is a seafront promenade with numerous restaurants, a famous outdoor hawker food court and Gurney Plaza, one of Penang's top shopping malls. 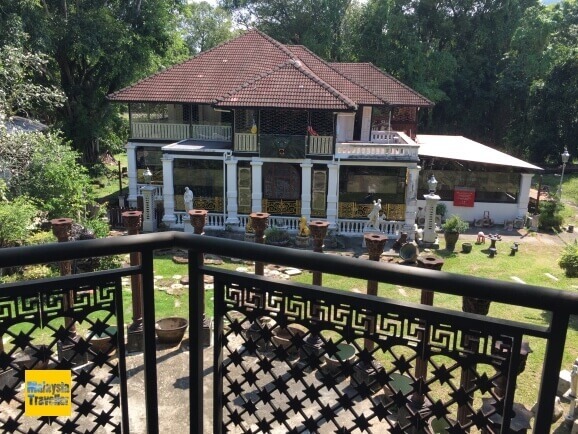 Located at Bayan Lepas not far from Penang airport, the Snake Temple is a place where tourist guides love to bring visitors to see live pit vipers draped around the temple's altar. Very touristy but it has to be done! 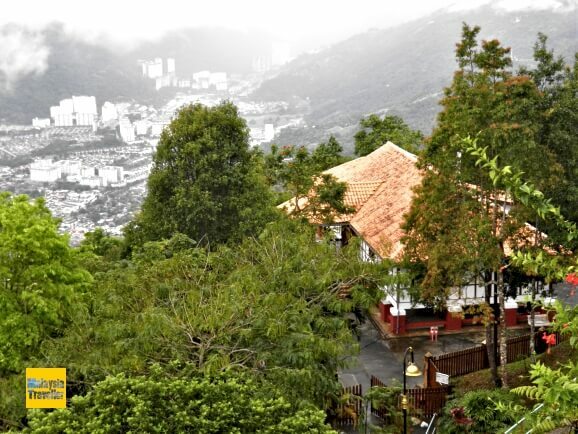 Zoom up Penang Hill on the newly upgraded funicular train for spectacular views of the city. Or, if you are feeling energetic you can hike to the top. Definitely one of the top Penang attractions. 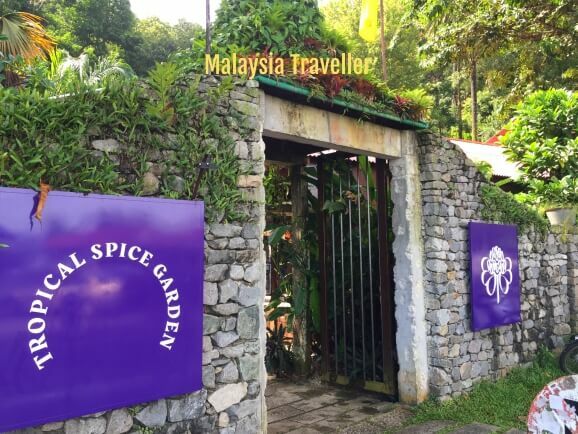 Penang Tropical Spice Garden describes itself as Asia's Hidden Eden and their lush fragrant gardens are a great place to see a vast array of spices and other exotic plants. 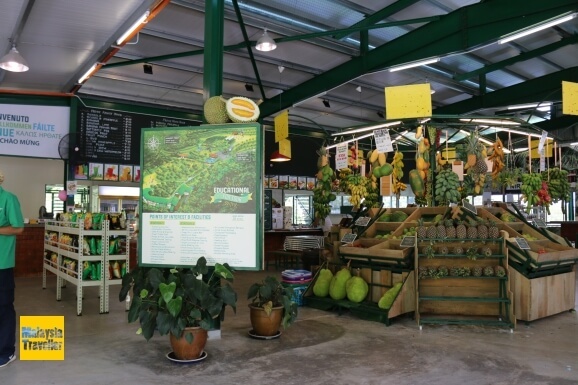 Penang Tropical Fruit Farm boasts 250 species of fruit on their 25 acre hillside farm. Visitors can take a guided buggy tour, enjoy fruit drinks or a meal and purchase various fruit products. 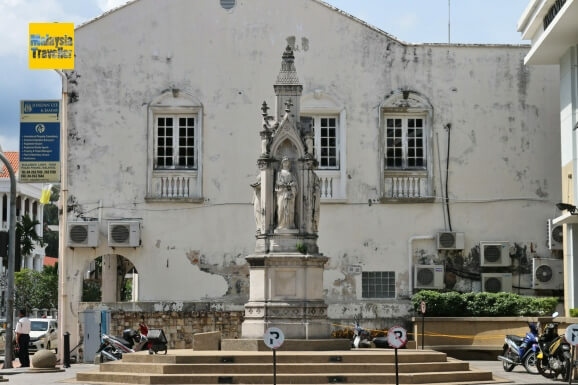 The Logan Memorial was erected in 1873 in memory of James Richardson Logan, a Scottish lawyer, newspaper editor, writer and ethnologist who is best known for defending the rights of 'the little man' against official restrictions in colonial Penang. Quirky Penang murals and street art have sprung up on the streets of George Town in recent years, celebrating Penang's unique culture. Here is a map showing their locations. 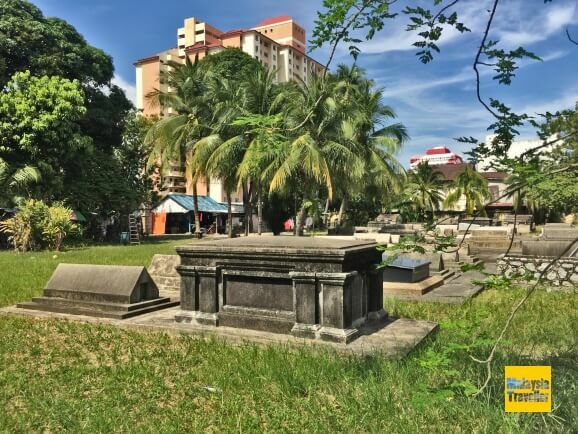 Penang Jewish Cemetery is all that's left of Penang's once prominent Jewish community. A poignant place to visit. 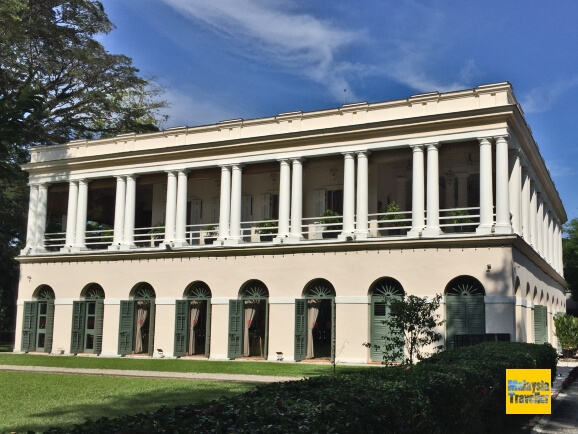 Suffolk House is a magnificent restoration of a stately home built around 1800 on an estate owned by Francis Light, the founder of the British settlement on Penang. It is now a restaurant and events venue. Definitely a top Penang attraction. 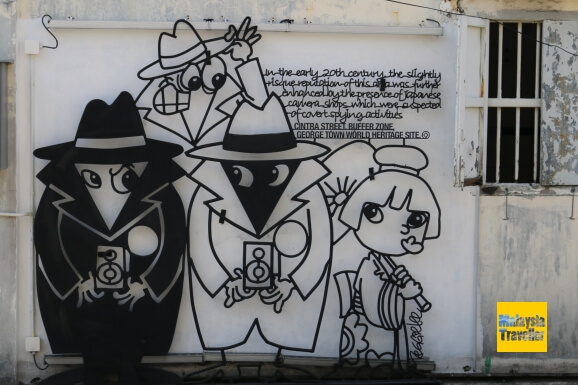 There's a bunch of talented artists in Penang. One place where you can find a range of local artworks is at Galeri Art Point. 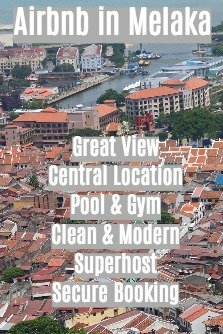 Need somewhere to stay in Penang? Take a look at Agoda's website for a huge selection of Penang hotels to suit all budgets at discounted rates.